I am so excited to be guest posting for Sarah today! My name is Kristen and I blog at Six Sisters’ Stuff. Sarah and I met at a Blog Conference this past year and have become good friends. I have been blogging with my sisters since February 2011 and we love to share easy family recipes, crafts and ideas! Hope you like our S’mores Bars! In a large bowl, cream together butter and sugar until light and fluffy. Beat in egg and vanilla. In a small bowl, whisk together flour, graham cracker crumbs, baking powder and salt. Add to butter mixture and mix at a low speed until combined. Divide dough in half and press half of dough into an even layer on the bottom of the prepared pan. Place chocolate bars over dough (3 king-sized Hershey’s bars should fit perfectly side by side, but break the chocolate, if necessary, to get it to fit in a single layer no more than ¼ inch thick). Spread marshmallow creme over chocolate layer. Place remaining dough in a single layer on top of the marshmallow (most easily achieved by flattening the dough into small, flat shingles and laying them together). This recipe is out of our new cookbook! Mmmmmm….don’t they look amazing?! I can’t wait to try them!!! Be sure to check out all of the other amazing recipes that have been shared thus far during my S’mores Saturdays Series! Yum, yum! 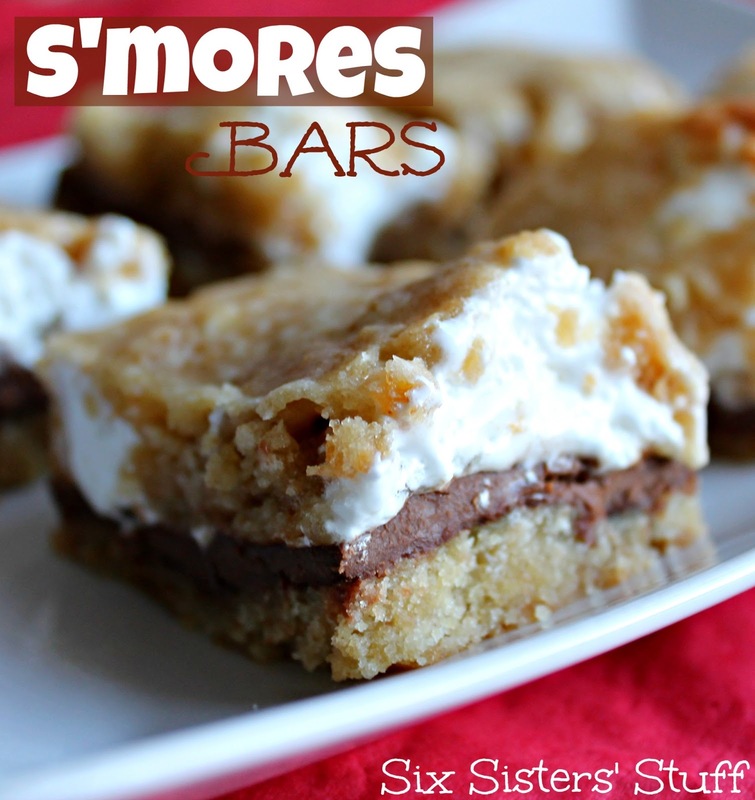 For more s’mores recipe inspiration see my S’mores Recipes board on Pinterest!